The recent waves of bank closures in Andalucia got me thinking about the state of the banking sector in the region. 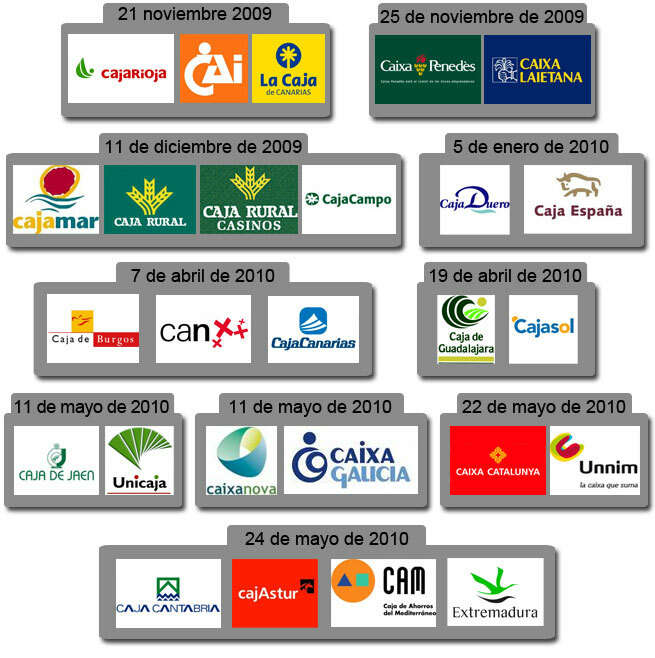 Well, out of the 5 savings banks, only Unicaja survives, having swallowed up a number of its former rivals, and currently merging with Banco Ceiss (itself formed from the ruins of Caja Duero / Caja España). A healthy balance book and a low exposure to real estate meant it has come through the crisis quite well. Its former rivals couldn’t weather the new banking requirements and were merged into larger rivals. Cajasur went under, was nationalised and forced off onto the Basque BBK. Cajasol went under and was merged first with Banca Civica (along with Caja Navarra, CajaCanarias & Caja de Burgos), before this too ran into troubles and sold to Caixabank. Caja Granada was too small to survive and was merged, along with Caja Murcia, Sa Nostra y Caixa Penedés into BMN, the “Mediterranean bank”, which promptly went under and was nationalised. Caja de Jaen was swallowed up by Unicaja to prevent nationalisation. Banco Andalucia vanished into the larger Banco Popular, and even its name has been wiped from the face of the planet. The rural savings banks, originally credit cooperative trusts, which due to their natures had a lesser exposure to real estate, had an easier time of la crisis. Indeed, their biggest problem was new regulatory requirements meaning they didn’t have sufficient funds on hand to keep operating legally. Caja Rural del Sur (Sevilla) swallowed up the Caja Rural de Cordoba (run by the Catholic Church in Cordoba, it was criminally mismanaged and the story behind it would have caused the administrators to spend a long time behind bars in a country whose justice system actually worked). However, the Almería based Cajamar has come through as to emerge as Spain’s strongest credit cooperative, leading a new type of unified credit cooperative in which smaller rivals across the nation pool their resources under the Cajamar brand without loosing their local focus – Cajas Rurales Unidas as the new trust is named, now has over 1,200 offices across Spain. And Cajamar itself is about to launch a commercial bank called Banca de Crédito Cooperativo to extend its range of commercial banking activities. The mergers have not come without cost, the Spanish workers union CCOO says 5,600 jobs were destroyed in the Andalucian financial sector between 2007-2012. In 2008 there were 7085 bank branches in the region, in December 2012 just 5695, a loss of 1390 branches, or 20%, a closure rate which was the highest in Spain. But the new requirements from the Banco de España, aimed at bolstering bank financial reserves, means that banks and cajas now have a freer reign to close loss making offices, which is the rationale behind the announced withdrawal from Almeria of Bankia and CatalunyaBanc. CCOO says that the industry will destroy a futher 3000 direct jobs by 2014, leaving just 28,900 people working in the sector. Bankia will close 129 offices across Andalucia (leaving just 2 offices in Almeria city). Some 340 jobs lost. Caixabank, which having swallowed up Cajasol had a strong presence in the region, has agreed with the unions staff reductions of 2,600 employees across Spain, 750 of which are in Andalucia. BMV, which had CajaGranada, has announced its third mass redundancy since 2010, firing 900 employees (450 in Andalucia). Unicaja is the only caja left in Andalucia that has not had any redundancies, but UGT says that they have been quietly not replacing staff who leave, meaning they employ 300 fewer people than they did three years ago. It may seem all a bit abstract, but Andalucia still relies upon these rural savings banks in a way that you may not recognise. Until the crisis, the region had always had a network of credit institutions that worked closely (far too closely, but that’ another story) with the local administrations, issuing credit for public works, and pumping profits back into the local society via their “obras beneficas” – by law, their profits were supposed to be injected into the community. Now that these institutions are swallowed up into larger national entities, and indeed, many of them have vanished all together, these credit lines have dried up, forcing greater reliance by local administration on the regional government for finance, and causing many local charities to see their only source of funding disappear. 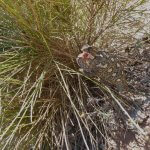 This entry was posted in Blog and tagged bank, bmv, caixabank, caja, caja rurals, cajagranada, cajamar, cajasol, savings bank, unicaja by David. Bookmark the permalink.